cheaper than we buy it from counter. easy to redeem. 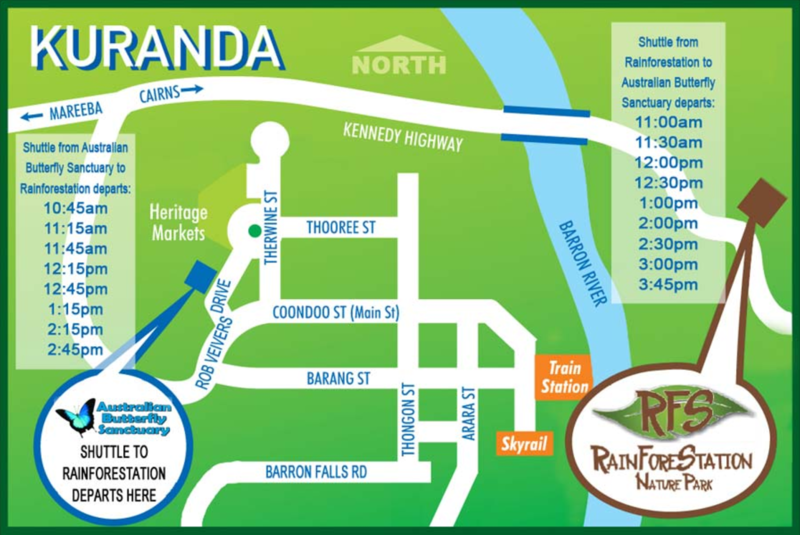 Discover Australia’s truly unique environment at Rainforestation Nature Park, just a short drive away from Cairns. Wander around 100 acres of pristine Australian rainforest - part of a UNESCO World Heritage site. 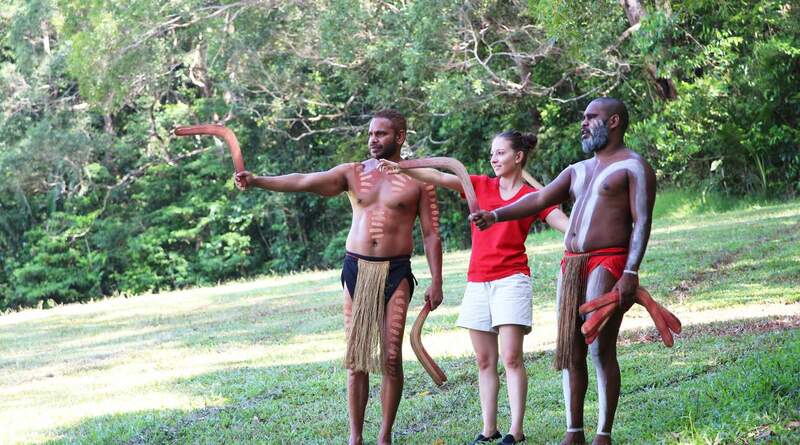 Here, you can enjoy a wide range of activities, learn about aboriginal culture and even get up close to some of the country’s iconic animals. 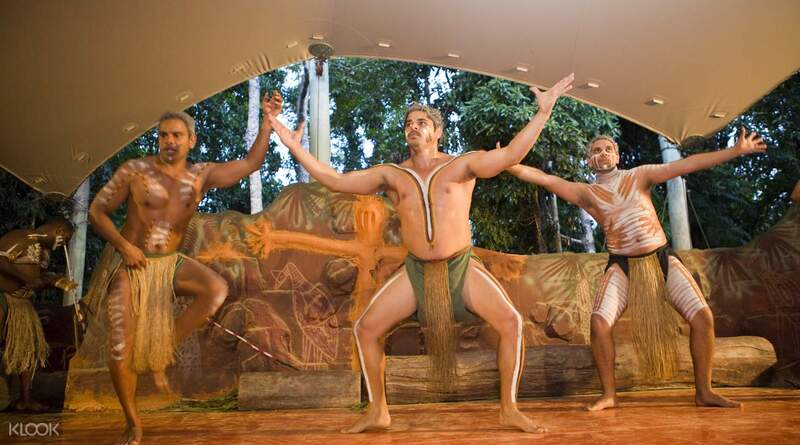 Watch the 30 minute Pamagirri Show - an aboriginal dance performance, and go on one of many scenic nature walks and presentations. See koalas, dingos, wombats, kangaroos and crocodiles in their natural habitat and learn from the wildlife keepers about the animals’ habits. 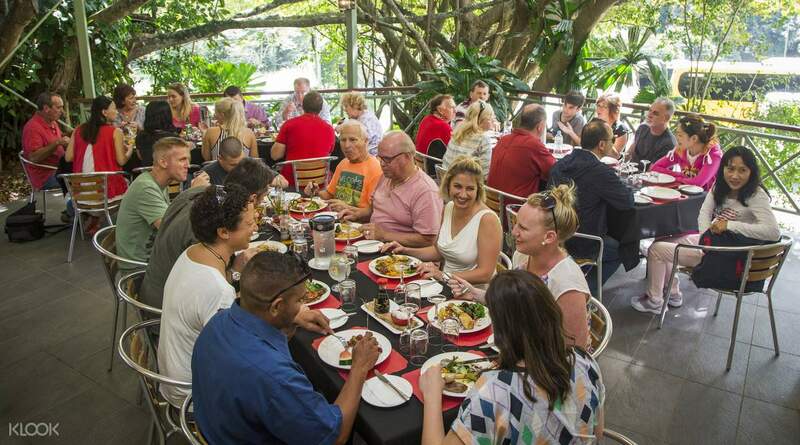 To top it all off, a delectable Aussie feast is included with your ticket. Munch on a tropical cook up of Sirloin steak, jacket potatoes, sausages, pumpkin soup, freshly prepared salads, fruits, cheese and more. 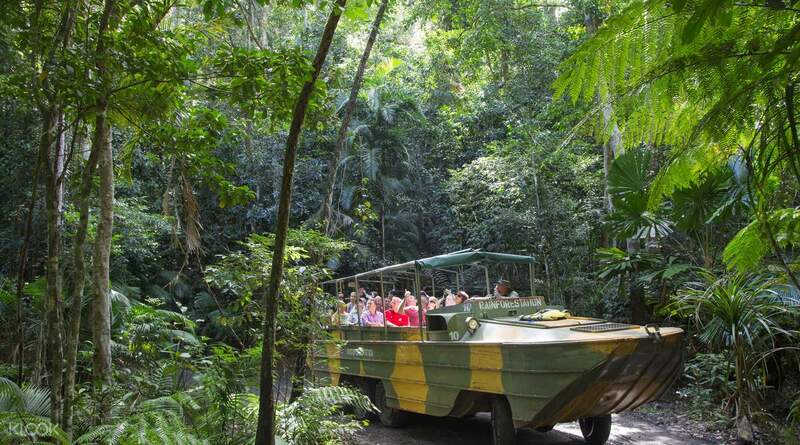 A trip to Rainforestation Nature Park is a true insight into Australia’s stunning nature and wildlife. Small but very interesting nature park. Plenty to do around here. Allocate at least 2 hours of your itinerary here to make sure you cover everything the park has to offer! Small but very interesting nature park. Plenty to do around here. Allocate at least 2 hours of your itinerary here to make sure you cover everything the park has to offer! Very interesting experience. Could be completed in around 3 hours. Plenty to do and see in the nature park. Definitely would recommend. 10/10. Very interesting experience. Could be completed in around 3 hours. Plenty to do and see in the nature park. Definitely would recommend. 10/10. Simply beautiful, at any season. I always see something I hadn't noticed on previous visits. Plenty of space so enjoyable no matter how many people are there.Thanks klook. Simply beautiful, at any season. I always see something I hadn't noticed on previous visits. Plenty of space so enjoyable no matter how many people are there.Thanks klook. Overall, good arrangements, beautiful sites, on time pick up. Highly recommended ! Overall, good arrangements, beautiful sites, on time pick up. Highly recommended ! cheaper than we buy it from counter. easy to redeem. cheaper than we buy it from counter. easy to redeem. We had great experience. Booking with klook makes my travels less hassle. We had great experience. Booking with klook makes my travels less hassle. Very good experience. Looking forward to our next with Klook. Very good experience. Looking forward to our next with Klook. Amy duck experience is special. BBQ lunch restaurant is beside a pool side. Tasty lunch and good timing arrangement by the park. Amy duck experience is special. BBQ lunch restaurant is beside a pool side. Tasty lunch and good timing arrangement by the park. The theme park is big and wonderful. I like the army duck tour very much and enjoyed to take photos with Koloa. The theme park is big and wonderful. I like the army duck tour very much and enjoyed to take photos with Koloa.